With a dash of romance, this Christian thriller entertains as it dishes out themes of love and acceptance. In this fast-paced tale, ex-military man turned ordained clergy Eric Jameson shakes up the Aldersgate United Methodist Church and his small, southern town with his liberal sermons and the company he keeps. 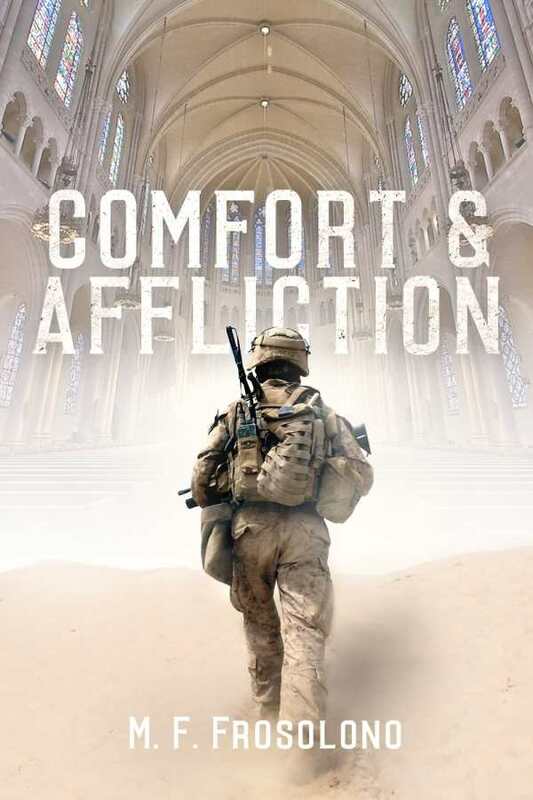 Comfort and Affliction, a Christian thriller by Michael Frosolono, is a page-turner with very powerful lessons about love, acceptance, and healing. After serving in the US Army in the war in Afghanistan, Eric Jameson studies to become an ordained reverend in the United Methodist Church. He is charged by the national conference to pastor a church in northeast Georgia, where he proceeds to “comfort the afflicted and afflict the comfortable.” Supported by a handful of highly respected allies, Reverend Jameson proceeds to disrupt the status quo and promote a sense of welcome and inclusion to this rather insulated community. The changes at the church begin to rub a handful of churchgoers the wrong way and incite retaliation by members of a radical underground group called the Southern Restoration Movement. Although he is now a man of the cloth, Jameson finds that he has to rely on his military skills to keep himself and his family safe. In Comfort and Affliction, the main characters are well developed and memorable. Jameson meets and falls in love with a beautiful divorcée named Allison, who is raising a teenage son on her own. Their touching and slowly blossoming romance is coupled with the growing trust between Jameson and Allison’s son, Joseph. Jameson and Allison also become close with an African American family, “Big Al” (the reverend of the African American Methodist Church in the same town), his wife, and their granddaughter, Cathy (who is also dating Joseph). In addition to well-developed main characters, Frosolono is successful at developing minor characters like members of the Southern Restoration Movement, the coffee shop proprietor, and church members. One strength of the novel is the way sermons are used to address controversial issues like gay marriage and segregation; however, the political message often overshadows the theological one. It seems unlikely that only a handful of people in the community would be disturbed by the sermons. The novel tries to address a number of issues, from the problems with the vests worn by military to gay marriage. At times, the political issues serve to distract from the main plot rather than add to the story. With only a few exceptions, all information—including the backstory of characters, characters’ emotions, and the description of what is happening—is delivered through dialogue. With additional prose, there would be more space for readers to infer characters’ motivations and more opportunities to see different settings and scenes. Comfort and Affliction is a complex novel that seeks to address a number of issues affecting the United Methodist Church and other Christian denominations. This entertaining novel is a thriller with a bit of romance, which is quite pleasing. This book would be appealing to fans of suspense as well as Christian fiction.